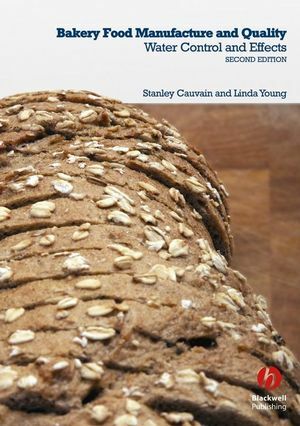 Taking a fresh approach to information on baked products, this exciting new book from industry consultants Cauvain and Young looks beyond the received notions of how foods from the bakery are categorised to explore the underlying themes which link the products in this commercially important area of the food industry. Baked Products is a valuable practical resource for all food scientists and food technologists within bakery companies, ingredient suppliers and general food companies. 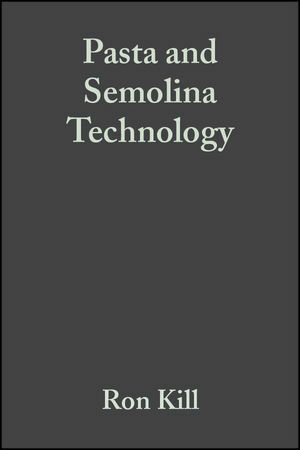 Libraries in universities and research establishments where food science and technology is studied and taught will find the book an important addition to their shelves. 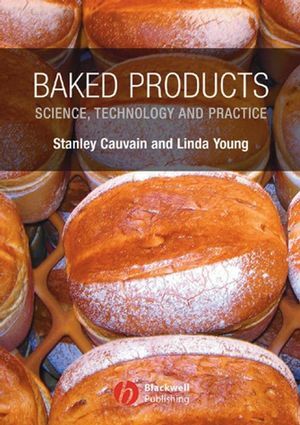 With a combined experience of 65 years in the baking industry with commercial and research companies Stan Cauvain and Linda Young are recognised international experts in the science and technology of baked products. They are now Directors and Vice Presidents of the consultancy company BakeTran, Stanley with responsibility for Research and Development and Linda for Knowledge Systemization and Training. 1 The current approaches to the classification of bakery products. An historical background to the production of baked products. The traditional basis for classifying bread and fermented goods, cakes, pastries and biscuits. The concept of recipe balance in the development of baked products. Reconsidering the basis for baked product classification. 2 The key characteristics of existing bakery product groups and typical variations within such groups. What makes baked products different from other processed foods?. An introduction to the methods used to characterise baked products. Methods for evaluating the character of baked products. Measurement of product moisture content. Water activity and its relevance. Key physical characteristics of bread and fermented goods. Key physical characteristics of sponges and cakes. Key physical characteristics of biscuits, crackers and cookies. Key physical characteristics of pastry. 3 The characterisation of bakery products by formulation and the key functional roles of the main ingredients used in baking. The key functional roles of individual ingredients. How baked product formulations are expressed. Typical recipes used in the manufacture of baked products. 4 Ingredients and their influences. Baking powders and their components. Ascorbic acid and other improvers. 5 The nature of baked product structure. Techniques to evaluate baked product structure. The formation of cellular structures. The role of fat in the formation of baked product structures. Mechanisms of structure formation and expansion in baked products. 6 Interactions between formulation and process methodologies. Mixing – the importance of energy. Mixing – single- and multi-stage methods. The contribution of ingredients and formulation to the evolution of current processing methodologies. 7 Heat transfer and product interactions. The baking of cake batters. The baking of bread dough. The baking of biscuit and cookie dough. The baking of pastry products. The baking of laminated products. The frying of doughnuts and other products. The foam to sponge conversion and the collapse of bakery products. Ingredient, recipe and product interactions. 8 Understanding and manipulating the end product requirements. Optimising baked product quality through test baking. Control of baked product characteristics by manipulation of ingredients, formulation and processing methods. Optimising baked product quality through the application of knowledge-based systems. 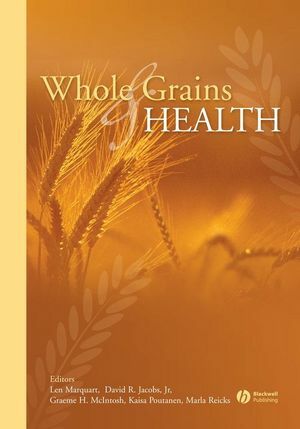 Knowledge-based systems for bread products. Fault diagnosis or quality enhancement. Other software tools for fermented products. Knowledge-based systems for cake products. Determining raising or leavening agents in cake and biscuit/cookie products. 9 The opportunities for new product development. The processes involved in the development of baked products. The potential for new product development using IT methodologies. Cake product development using IT systems. Software to determine process settings. Ensuring product safety using software. Matching patterns in baking for innovation. Using structure assessment in innovation. Visualising the world of baked products.